But, there are others that may be better for you. I figured it was time to whip up a quick blog post for those of you who are looking to sell your music online. 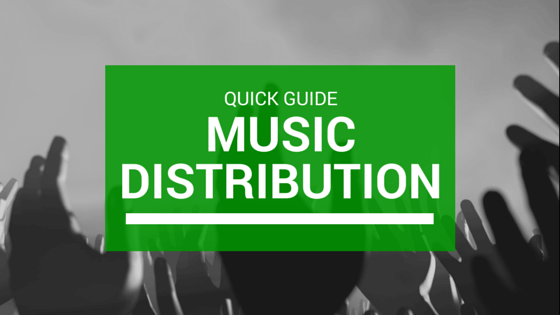 Here’s a breakdown of the top music distribution sites that you could use as well. When it comes to comparing these services, it isn’t always apples to apples. I will throw out a few facts for each below to get you rolling but then you can take it from there. It is a pretty mixed bag on what the better deal is and it really depends on your personals needs when it comes to licensing, publishing and distribution. Look them over good before making your final selection. Again, the service I use. They have been reliable, I have had zero technical issues and I like their dashboard. The dashboard keeps a great record of where your music is being streamed and purchased. They also have Sync/Publishing licensing built in to track plays on YouTube and a few other site (this is pretty handy). There is a set up fee and they keep roughly 9% of some of your earnings. UPC codes will cost you extra but ISRC codes are free. One issue I have is that it seems to me that they’re prices seem to keep going up and up. Used to be less than $10 to upload a song or under $30 for an album but now its $12.95 and $49. Click here to learn more about CDBaby. Fandalism’s spin-off service gives you your first upload free and then a straight $19.99 yearly fee for unlimited uploads. With no set-up fee, they are pretty reasonable if you are going to be doing a lot of releases. They are also the first distributor in the world that can automatically split payments among collaborators. So if you do a ton of collaboration, DistroKid is a no-brainer because of the time and headaches you’ll save trying to keep track of who gets what. MUST READ: You have to check out an article by the founder of DistroKid, Phillip Kaplan’s, called “How To Tell If Your Music Distributor Is Ripping You Off.” It will give you a lot to think about before choosing your distributor (it is definitely making me reconsider the one I’ve been using). UPDATE: I am in the process of switching over to DistroKid. Stay tuned for how that goes. Click here to learn more about DistroKid (and get 7% off). They have a large distribution network with all the sites you’d want to be on. Plus they can monitor royalties, offer sync/publishing on sites like Youtube and even handle ringtone distribution. There is a set-up fee of $75. Singles cost $9.99 per single (first year) and albums are $29.99 (first year). Click here to learn more about Tunecore. Symphonic has a pretty unique pricing model (at least compared to the others). It costs $25 to start and then there ares fees based on the amount of tracks you plan to distribute. 1-5 tracks is $10.99, 1-10 tracks is $19.99 and so on. They give you a slight break the more tracks you upload. They do everything every one of these other services does and more. One big one IMHO is that they are the only service besides CDBaby that offers physical distribution. So if that is something you need or want to do, that’s a big deal. I like trying to keep as much under one roof as possible. Makes things easier. They have services/features that many of the other services do not. Like video distribution, something called piracy protection, a promo mailing service and a few more features related to Beatport. Click here to learn more about Symphonic. Ditto music offers a few payment options. You can pay $79 to get unlimited distribution for a year or you can distribute by the single for $9. If you follow my one single release per month strategy for a year, $79 is pretty reasonable. They have 24-7 phone support which is pretty huge IMHO. There are always questions that pop up and its good to know you can get them answered quickly. You can also get free ISRC codes and they offer optional extras like iTunes Pre-release, SMS Keywords and worldwide chart registration. Please Not: Since reading adding Ditto, I was made aware of Ari Herstads music distribution service overview. Ari is a very well respected music industry blogger and indie musician. In the spirit of full disclosure and to make you aware of everything I know. here is what Ari’s had to say about Ditto. * After this report came out I’ve received countless emails from musicians and labels saying how horrible Ditto has been to them. Unpaid royalties. Customer service email turnaround very fast only UNTIL you pay, then you never hear from them again. Missed deadlines. On and on and on. If you care about your music career, DON’T WORK WITH THEM! Spinnup is a unique distributer in that they’ve added the human element to the distribution process. They can “push” their release to someone called a “scout” for feedback. Spinnup also has a relationship with Universal Music (which could be good or bad depending on your career goals). These scouts have regular meetings with the Universal A & R department. Soooo, if a scout is really into you, you could have an in at a major label. The pricing is pretty competitive. They offer yearly packages at $9.99, $19.99 and $39.99. Bigger the package, the more songs you can release. The $39.99 is a pretty decent deal if you are using the Sell More Singles model. If you are looking to get some feedback and to throw your hat into the major label ring, Spinnup might be a good choice for you. Offer a monthly and yearly distribution plan with a one time set-up fee. The have free UPC and ISRC codes. You get to keep 100% of your royalties. There is monthly fee $5.99 and a set-up fee of $9.99 for singles and $19.99 for albums are $19.99. Click here to learn more about Songcast. Those are the most popular music distribution services. I was in my account for the first time in a long time the other day to master an acoustic take on an older tune. After the master, they offered to distribute my song for me (which I don’t remember seeing a few years back). I didn’t use the service due to the nature of the song I master (i.e. not meant for prime time). But it was definitely compelling. They add your track to all the top streaming services (Spotify, iTunes, Apple Music, Google Play, Tidal, Deezer, Pandora, etc). You own 100% of the rights. Your first two submissions are free. If you use Landr for mastering already, you would save a few steps in the release process. Saving time = music to this DIYer’s ears! If you know of any I missed, please add them in the comments below. Yep, Reverbnation do Digital Distribution. Thanks for the heads up Kristian! OneRPM is okay. It’s cool that they offer daily Spotify, Apple Music, and Google Play Stats. I love Record Union for their detailed Daily Spotify Analytics. Their stats even tell you if your fans are streaming from Free or Premium Accounts. DistroKid offers free Upc and Isrc codes. But they do make you pay an additional $0.99 for Shazam. Thank you for the heads up Nikki! I will take a look at them and add accordingly. Rock n Roll Librarian’s ebook suggests that UPCs and ISRCs issued by digital distribution companies and even PROs (ASCAP, BMI, etc) contain a prefix which credits them as the owner and will fail to generate fair royalties for the artist. Though I wasn’t aware of this business risk for indy artists, I’m not surprised. She suggests that artists who want to control their rights fully and get paid fairly should register for and obtain these codes directly in their own name. I believe CDBaby et al allow the artist to enter his/her own codes. Can you comment on this, Corey? Freejay, sorry for the late reply. Serious computer issues this week and i got way behind. THAT SAID, I’m here now. 🙂 You make a good point. They do allow for that and it is what I do (generate elsewhere and then add). BUT you make me wonder if they still do something even after you add your own. I am going to shoot her and email and see if she can stop by and clarify. I am I search of the most artist friendly digital aggregator available for my artists. So far they all fail the test. Check out loudr.fm as well, I am currently having the Rock and Roll Librarian do a gotcha report on their service agreements. I’ll let you know what I find. Hopefully the Librarian will check with more details. Corey and Freejay, per the question about whether CD Baby allows for artists to use their own UPC and ISRC codes with their unique prefixes to the masters they upload, the correct answer is yes. One problem arises, though, when (not if) CD Baby invokes one of their buried clauses, namely that they can make masters of your uploaded works. There is no way for you to confirm which master it is they are offering for sale, licensing, or streaming; nor can you tell them they cannot do so since the contract you agree to when you join says you’ve given them the right to do that. Since ISRC is, by its very nature, designed to differentiate between works, your ISRC cannot be attached to their new master… therefore…logic tells you where this ends. Furthermore, that contract gives them the right to make derivative works from yours and only they and God know which ISRC and UPC is attached to that. I hope that helps. Personally, direct-to-fan sales from your own website is the way to go. Why list yourself amongst millions of others offering the same product? If you are using iTunes and so forth as a way to track your sales so the world will know your validated sales, you can use a service such as Indiehitmaker.com to accomplish the same thing AND do direct-to-fan-sales.